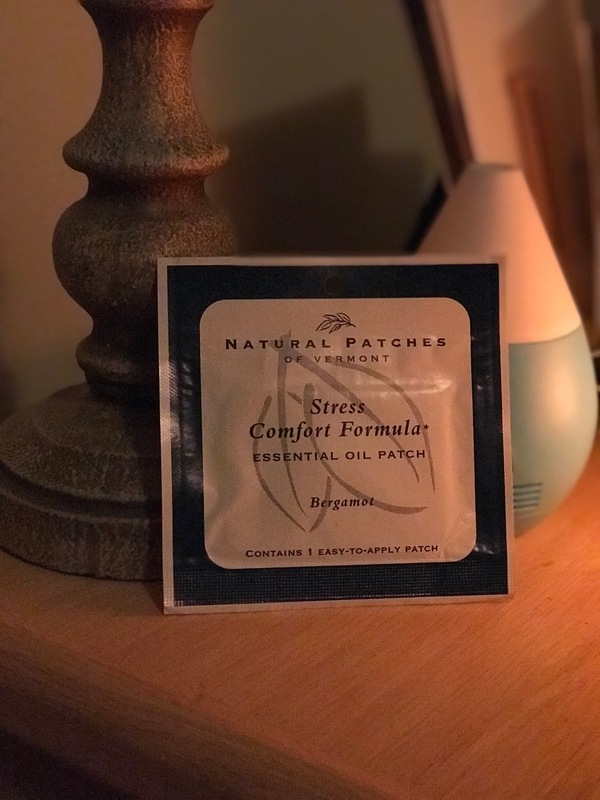 I was so excited to share this post with you all because I recently started using the Natural Patches of Vermont essential oil patches and LOVE them. I posted about them on my Instagram Story and received so many questions from essential oil lovers looking for a review. They work for me because they’re not overly scented and they worked great with my sensitive skin (finally something that didn’t leave me with a rash)! I picked mine up at my local health food store, but you can order them directly from their website or on Amazon. 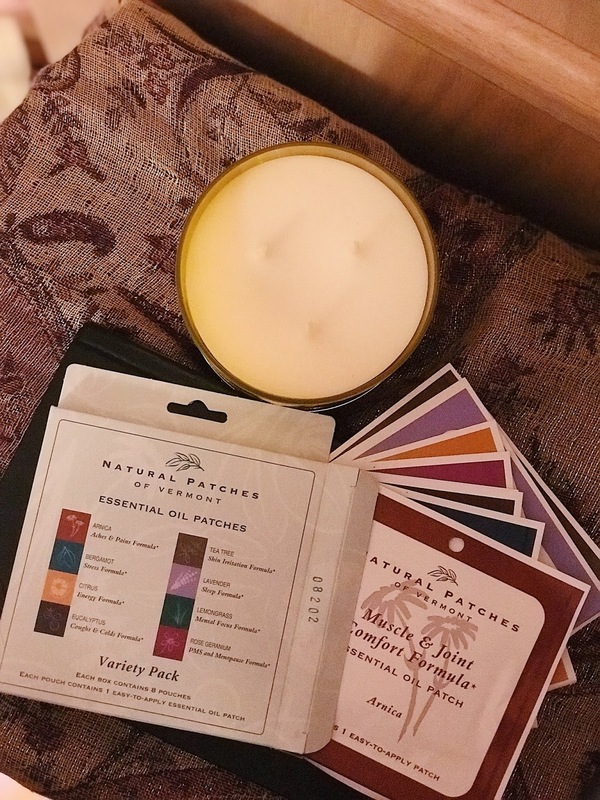 If you order the variety pack, it comes with 8 different essential oil patches: Arnica, Bergamot, Citrus, Eucalyptus, Tea Tree, Lavender, Lemongrass, and Rose Geranium. 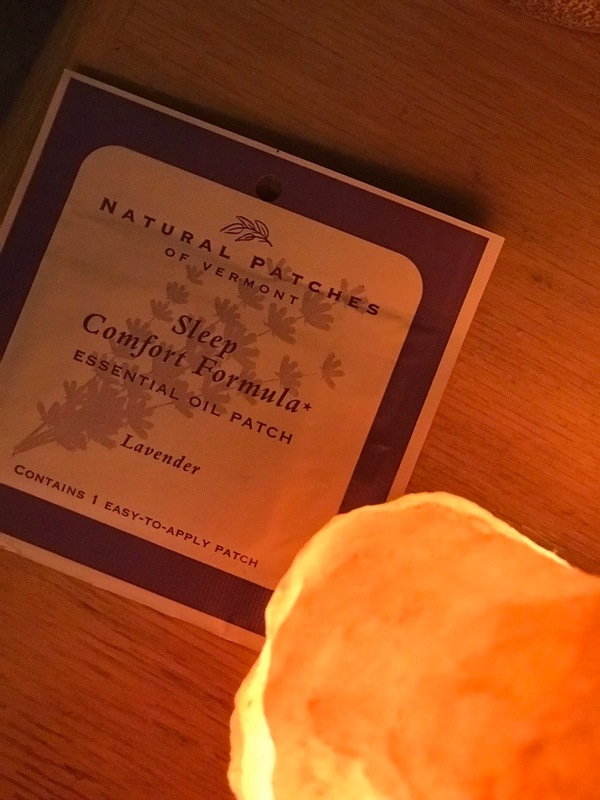 I first tried the Sleep Comfort Formula with Lavender. It contains Extra Virgin Olive Oil (as the carrier oil), Lavender, Chamomile, and Jasmine essential oils. The scent was very mild and not overpowering. I placed it on my chest, which made it relaxing to fall asleep with it on because every now and then I would smell the lavender. I also like to take deep breaths and meditate with these on to help get the full effect and benefit from the oils. If you have a diffuser or salt lamp, you can add some lavender to enhance the aroma in the room. 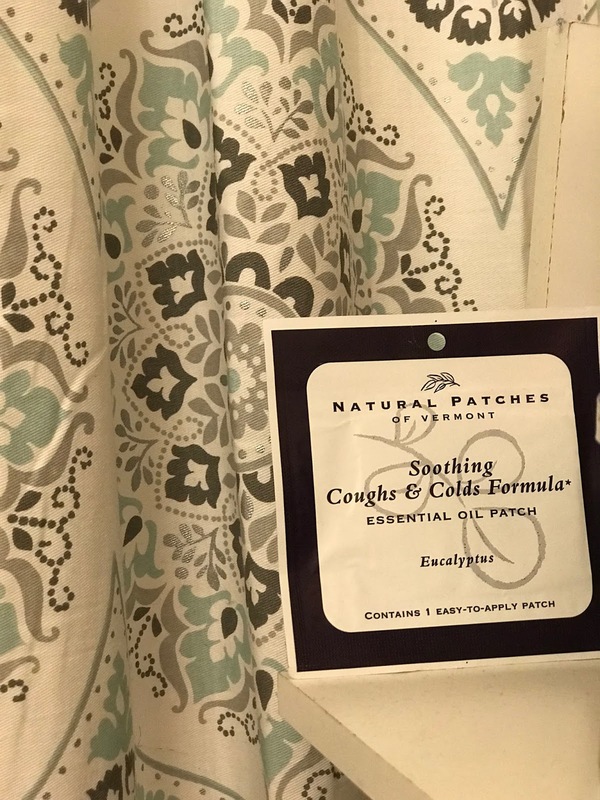 The Soothing Coughs and Colds Formula is packed with EVOO, Eucalyptus, Citriodora, Camphor, Peppermint and Lemongrass essential oils. This one is really nice if you are feeling under the weather. 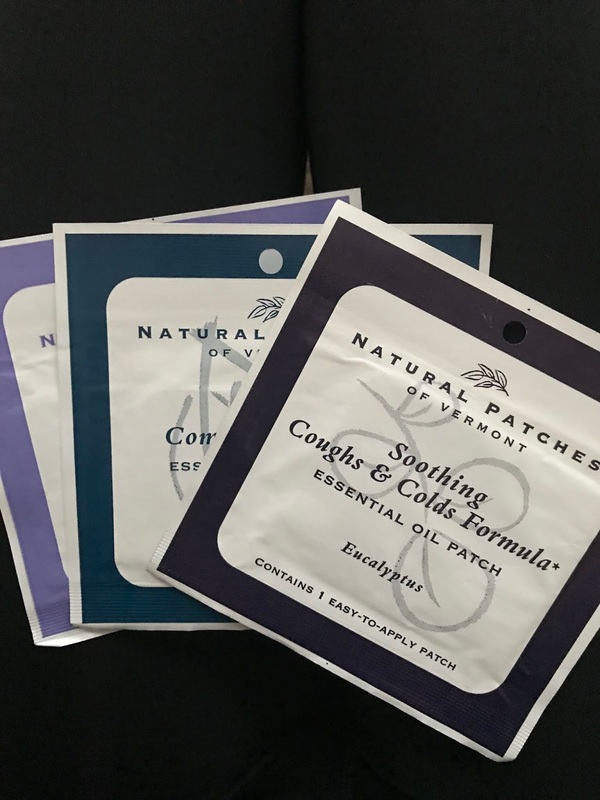 Place this patch on your chest and wear it throughout the day to help ease your congestion! So far, my absolute favorite is the Stress Comfort Formula with Extra Virgin Olive Oil, Bergamot, Ginger, Rosemary, and Lavender. I placed this patch on my chest and it had a stronger scent than the others, which was great for deep breathing techniques and meditation. I put this on before I went to bed and relaxed with an oil diffuser and salt lamp on as well. When I woke up, I could still smell the oils from the patch and actually ended up keeping it on until I had to shower!